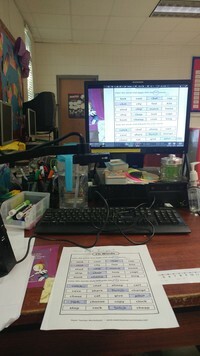 How teacher Borocz-Johnson Emily use VZ-1 HD VGA/USB Dual-Mode Document Camera in the classroom. How teacher Bryant Sandthaunia use VZ-1 HD VGA/USB Dual-Mode Document Camera in the classroom. How teacher Bartell Christina use VZ-1 HD VGA/USB Dual-Mode Document Camera in the classroom.